RARE original hand drawing in pencil by early Aircraft Designer Randolph Fordham Hall. The drawing was also signed by him and dated 12/30/1923. 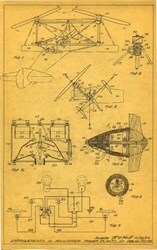 The document has several drawings of an early helicopter. 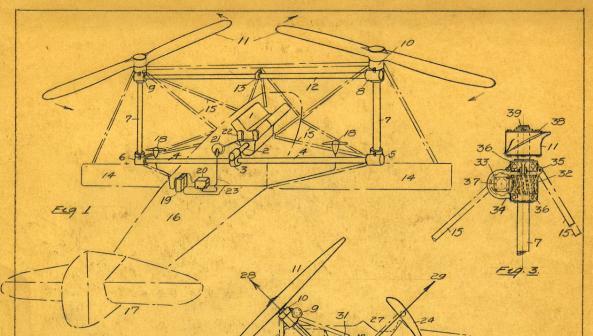 At the bottom of the drawing it says "Improvements in Helicopter Power Plants" (signed by )inventor R.H. Hall. This drawing was used for one of Hall's many patents while he was working for the Thomas Morse Aircraft Corp. the company was eventually acquired by Bell Helicopters.